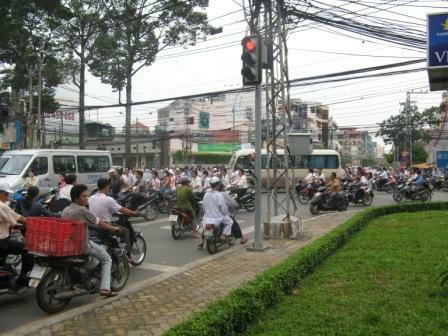 Most trips to Vietnam will take you from Hanoi in the north to Ho Chi Minh City (Saigon) in the south (or vice versa). By far the best way to travel the length of the country is by train on the Reunification Express. The train line was re-opened after the war in 1975, hence its name. The total distance of the line is 1,700km and a non-stop trip takes 30 hours. The train passes through some of Vietnam's beautiful scenery, from lush tropical landscapes and rural scenes of paddy fields and water buffalo to the spectacular vistas of the coast around Danang. For a non-stop trip, be sure to book a sleeper car and choose a train that passes the best of the scenery during the day. It's worth breaking the trip to see sights like the old imperial capital of Hue and the historical town of Hoi An (disembark at Danang for Hoi An) - separate tickets need to be purchased for each stage of the trip. Hanoi combines the bustle and pace of a capital city with an old world charm and nostalgia from its French colonial past. Characterised by wide boulevards, faded colonial buildings and tree-lined lakes, Hanoi is a wonderful city for strolling and soaking up the atmosphere. 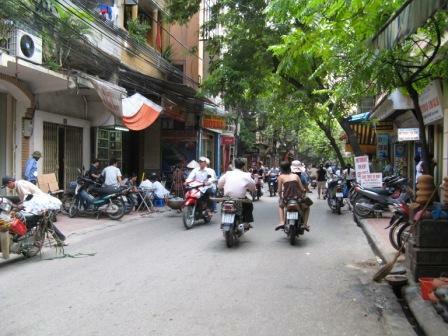 In particular, the maze-like Old Quarter between Hoan Kiem Lake and the Red River invites exploration of its narrow streets and myriad of shops. Other attractions include the Temple of Literature, Vietnam's oldest educational establishment, the colonial architecture of the Presidential Palace, the One Pillar Pagoda, Ho Chi Minh�s Mausoleum and the infamous Hoa Lo Prison, also known as the Hanoi Hilton. Also worth checking out are the famous water puppet theatres for a truly Vietnamese experience. Hue was the imperial capital of Vietnam, and its religious and cultural centre, under the Nguyen dynasty from 1801 to 1945. The walled imperial citadel, containing the Forbidden Purple Palace (an exact replica of Beijing's Forbidden Palace), covers a vast area but much of it was destroyed during the Tet Offensive in 1968. 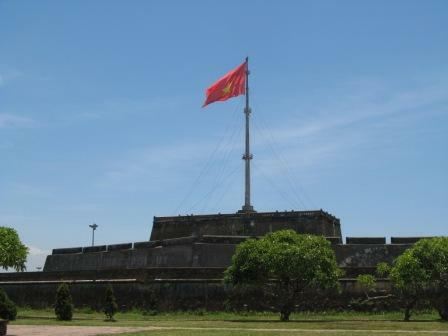 The Ngo Mon Gate, some of the outer walls and the Flag Tower remain however, providing an eloquent glimpse at the glories of imperial Vietnam. The beautiful and evocative Perfume River runs through Hue and dragon boat rides along the river will take you to more of Hue's attractions. The Thien Mu Pagoda is the oldest monastery in Hue and one of the most beautiful buildings in Vietnam. There are also the tombs of the Nguyen emperors, such as that of Tu Duc, which provide insights into the lifestyles of the emperors. The city of Danang was once the centre of the Kingdom of Champa between the 4th and 13th centuries. Today the Cham Museum in Danang allows you to see some amazing Cham sculptures. The landscape around Danang is extraordinary, including the limestone peaks of the Marble Mountains, once used by both the Champas and in ore recent times as a haven for the Viet Cong and containing many Buddhist shrines. You can also visit the famous China Beach nearby. The road north to Hue also offers spectacular scenery, especially over the Hai Van pass, known as the Pass of the Ocean Clouds. From the 15th to the 19th century, Hoi An was one of the most important trading ports in Vietnam, visited by ships from all over the world trading goods such as spices, silks and ceramics. When its harbour silted up in the 19th century it became eclipsed by Da Nang and other ports. Hoi An's economic loss was the world's gain, as the town preserved its old appearance and, as the only example of a traditional Vietnamese town, has become a major tourist destination. 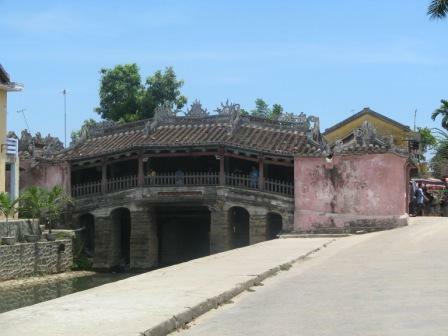 Hoi An is characterised by narrow streets and beautifully preserved buildings displaying indigenous and foreign influences, including the famous Japanese bridge. It's a beautiful town for wandering, tasting the fantastic local cuisine or exploring the surrounding countryside and nearby beaches. Hoi An is also famous for its myriad of clothes shops which will produce tailor made clothes from hundreds of materials and designs within hours at very low prices. The city of Nha Trang is Vietnam's premier beach resort. The 4km stretch of white sands spans the entire length of the city with the warm, blue waters of the South China Sea on the shore. Boat trips take you to nearby islands, with opportunities for snorkelling and scuba diving, and allow you to appreciate the rugged coastlines around the city. Nha Trang is also famous for its seafood, which can be sampled in numerous restaurants in the town. Ho Chi Minh City, or Saigon as it's still known, is Vietnam's largest city and economic powerhouse. It's a vibrant, noisy and bustling city but also retains some of the colonial French architecture, such as the post office and city hall. Other attractions include the Reunification Palace, the chilling War Remnants Museum and Notre Dame Cathedral. Also worth visiting is the Chinatown district of Cholon to see the Binh Tay Market, pagodas and temples.